THE Football Association of Zambia (FAZ) has appealed to clubs to take the recently launched football management and administrative seminars seriously. Communications manager Desmond Katongo said FAZ was impressed with the attendance during the seminar held in Southern Province on Saturday. Katongo said the purpose of the seminars was to empower all its members with knowledge and skills that would help them make the relevant sporting and administrative decisions necessary to manage their clubs. He said FAZ was aware of the numerous changes that had taken shape in football administration locally and internationally. “Evident among these is the amendment of the FAZ constitution which has seen the introduction of two important independent judicial bodies. The Ethics and Integrity Committees and Audit and Compliance Committees and Club Licensing as per FIFA requirement,” Katongo said in a statement released on Tuesday. He said FAZ would continue to work tirelessly to ensure that all its members got attuned to the modern standards of running the game. “FAZ will also take stock in sharing information on events management and possible penalties for fans unruly behaviour at matches. Thus we would like to appeal to all our members to take the seminars seriously,” he said. Katongo said that the association would also resume its second phase of the kit and equipment distribution exercise to division two and three clubs by the second half of the year. He further urged all its members to remain united and work with the association to develop Zambian football. “Promotion of unity remains the most significant objective of the executive. FAZ would like to urge all its members to follow laid down grievance procedures as stipulated in the newly approved constitution by the FAZ council freely to uphold clarity, transparency, accountability, and good governance as opposed to rumours and speculations,” Katongo said. Meanwhile, Eastern Province administrators have hailed FAZ for making it a point to acquaint them with new developments at FIFA. Provincial coordinator Dominic Kapenda said that familiarisation with the new FIFA structure would help members of the grassroots know how to approach football matters. Kapenda said with new structures such as the Ethics and Integrity Committee, Audit and Compliance Committee and Club Licensing as per FIFA requirement club officials needed to be acquainted with the new structure. He said FAZ had done well to meet the members from their bases and not just send correspondence. “Most of our members here are drawn from rural areas with no access to information. We are happy that FAZ has come here to conduct this training so that we know how to run the game properly,” Kapenda said. Kapenda said the members were grateful that they had been visited outside a campaign or election period. “Usually we are visited during elections when people are campaigning but now FAZ has come with this training outside that period. This is how it should be,” he said. And opening the workshop, FAZ vice president Rix Mweemba said the association would continuously engage their members so that they could be part of every decision. “We will continuously engage our members throughout our tenure, it does not matter whether there are elections or not. 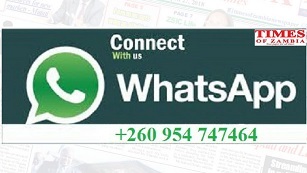 We want you our members to be part of every important decision,” Mweemba said. Eastern Province was the second stop for the FAZ team led by Mweemba, deputy general secretary Adrian Kashala, former committee member Keagan Chipango and licensing manager Erick Mwanza.